"I'd like to take this opportunity to thank everyone that has helped us achieve amazing things over the years. This include all our wonderful guests, suppliers and friends - I cannot thank you enough for your loyalty and support. Although a little sad, I'm also looking forward to exploring other culinary options and getting stuck in exciting projects in the future." Lee Wetscott. 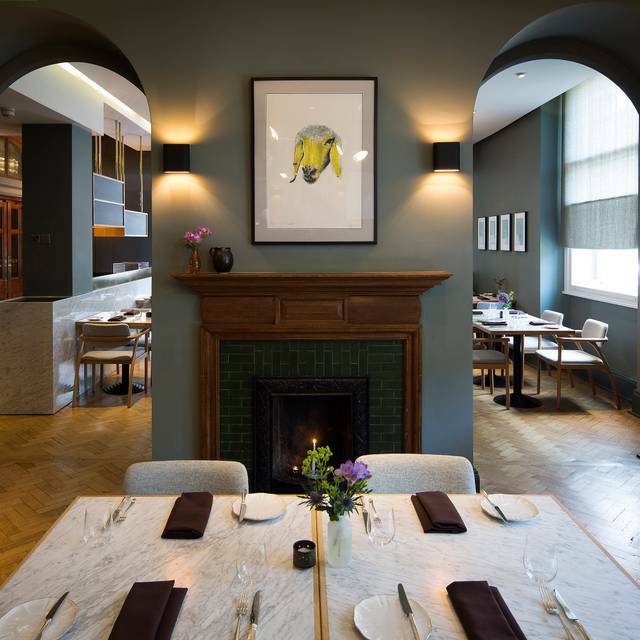 Town Hall Hotel’s restaurant by Chef Lee Westcott, Typing Room, has opened to critical acclaim. 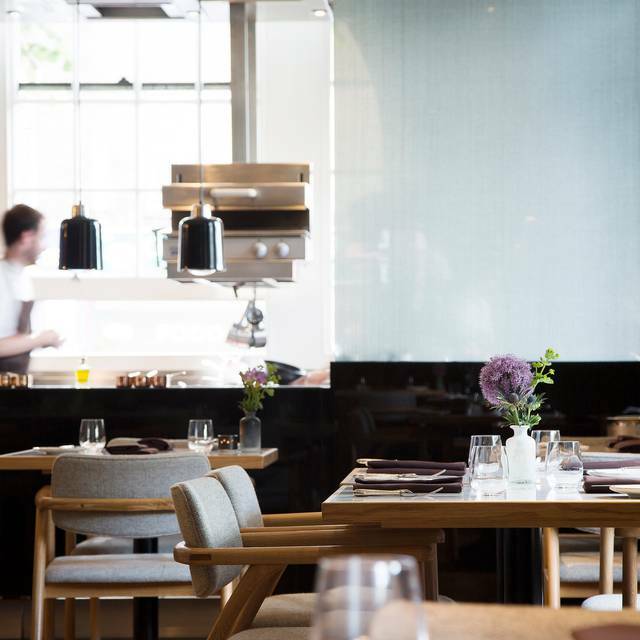 The 40-cover restaurant is Lee’s first solo venture and offers a refined European menu showcasing and focusing on the British seasons and produce. Bethnal Green underground station and Cambridge Heath train station. We had a great time at the Typing Room and are glad we made it on their last ever service. Wonderful restaurant, even better the second time around. While we're really sad it's closing we can't wait to find out what Lee Wescott is up to next. Whatever it is, we'll definitely be taking a look. As well as the food, the service at the Typing Room was impeccable, unpretentious and added to an already exceptional meal. Beautiful food, flavours and lovely staff make it a fabulous dining experience. Very sad that it will be closing it’s doors in a few weeks time, hope that the team will be moving onto a new food venture very soon! Food was good, had the tasting menu with wine pairing. The staff were really excellent; friendly, informative and relaxed. I would recommend. Excellent food and service. Pescatarian tasting menu was great - sorry to see this restaurant closing, however looking forward hearing news on the new venture! Couple of fantastic courses but a few misses as well unfortunately including an odd desert matched with a cider. Expected more especially for the price. On arrival we were told our table wasn’t ready despite the restaurant being over half empty, would have been ok if we hadn’t been told to have a drink in the bar which smelled like a chip shop and the wine glasses were dirty. Typing Room never disappoints. An early evening sitting for the tasting menu and accompanying wine pairings. 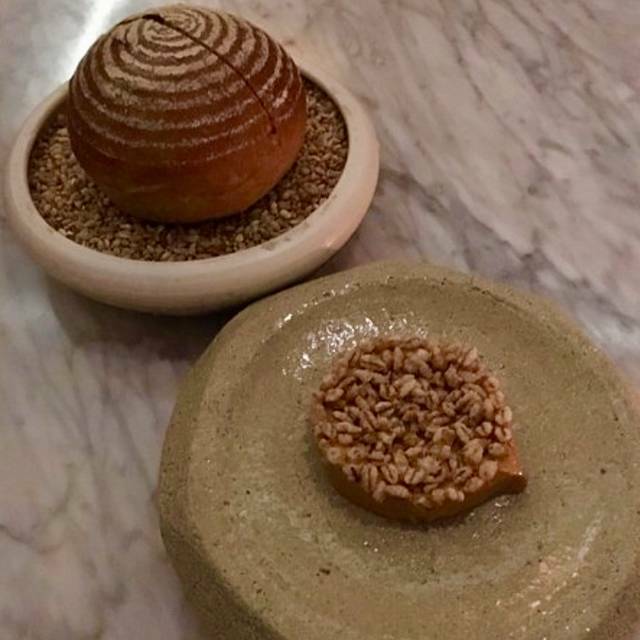 The nature of the space encourages quiet conversation and the atmosphere seems deliberately a little subdued, but this is by no means a criticism; if you want a bustling bistro-style meal, go to Galvin La Chapelle. 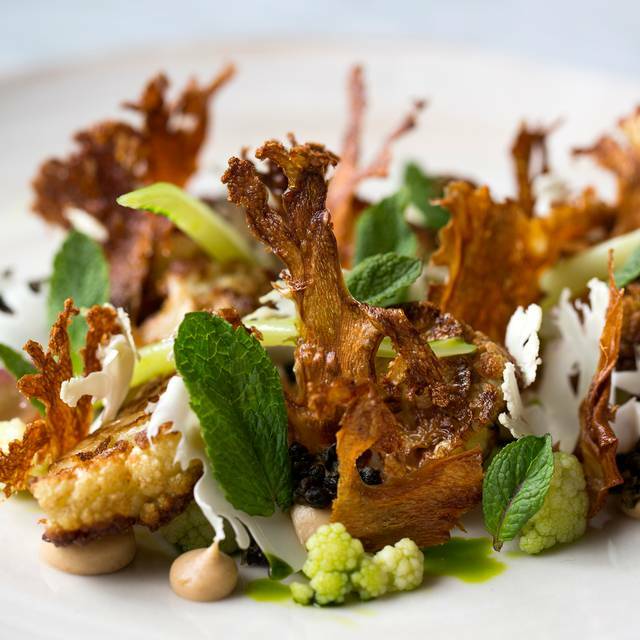 The food at Typing Room is invariably an excellent and thought-provoking journey through seasonal dishes, served well. The wine choices were appropriate and well-timed. My main beef with the place is the sad fact that it's closing in the next few weeks. It will no doubt be sorely missed. Whilst the centre of gravity of gastronomic London is moving east, it is an anachronism that Typing Room has chosen to close. So thanks for the memories, Typing Room. I look forward to the next instalment. A perfect evening! The chef and his team bring their talents to your table in abundance. So happy to have had a chance to share this experience with my partner. 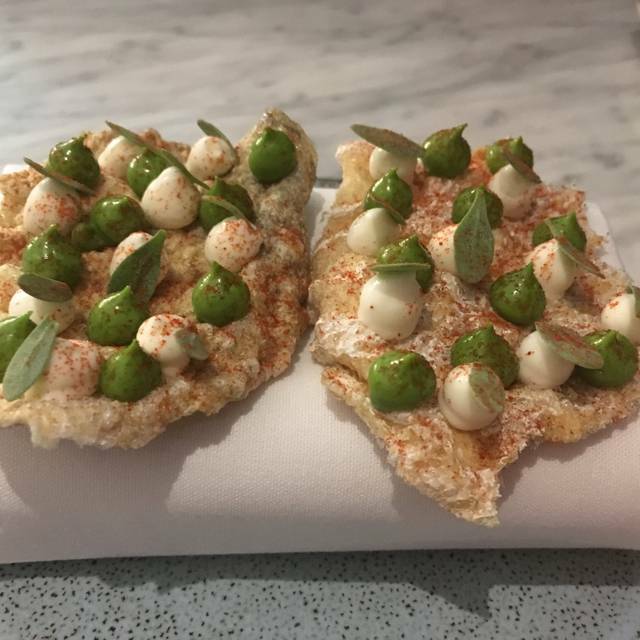 Our second trip to the Typing Room having first dined there in May 2016. The food lived up to memories of the first visit and high expectations. Delicious and beautifully presented. Service is attentive but subtle/ in the background and the atmosphere relaxed and warm. Every course was excellent; only disappointment was that many of the courses on the tasting menu were the same. Also there were a few more ‘extras’ back in 2016 (additional snacks, chocolates etc. ); though worth mentioning the price has remained the same and I think represents very good value for money. Amazing food, what a fantastic restaurant in Bethnal Green. Loved the pescatarian tasting menu! Such a shame that the Typing Room is closing. Lee Westcott and his team produce absolutely fabulous food - definitely worthy of a Michelin star - cannot fathom why Lee and his team have been overlooked. Every course (we had the 5 course tasting menu) was executed to an excellent standard, absolutely delicious. Service also excellent as was the Somelier. Relaxed and not stuffy. Highly recommended but get there before the end of June! Third trip and the food just keeps getting better! Lovely food, inventive, exciting, enjoyable. Ok value for money, good ambience. Worth travelling away from the West End and City for this gem of a restaurant. We had the five course set menu - some amazing flavour combinations, fun and attentive service that was both personable and knowledgeable, and a sommelier who knew his wines. Welcoming staff create a warm and friendly atmosphere. A very polished menu and every dish (we had the 5) was enjoyable. A truly outstanding dinner — every course an original creation, with an extraordinary culinary impact as one dish succeeded the next. Absolutely exceeded every expectation. Wine list interesting and good of highest quality. Loved it!!! Great tasting menu and wine pairing! Will definitely return. Stunning. Truly amazing food, Completely recommend it. Superb quality food, excellent wine and fantastic, friendly service. Chef Lee put together a phenomenal menu and his staff provided the amazing dining experience. Lee Westcott is great!!!! Ever since I learned about this chef and this restaurant, I have visited the Typing Room a few times and every occasion has been wonderfully enjoyable. Lovely friendly staff, amazing quality of service, of everything...and yet so down to earth at the same time. I love this place and what is and has been created here. The food here-we had the tasting menu-is fantastic! Would highly recommend it. The only thing I would say that I’ve been there twice only-both times were fantastic-but....the menu was exactly the same. So before I would go again I would check that’s its changed. Our experience at the Typing Room for a special occasion was memorable for all the right reasons. Exquisite food (marmite butter, scallops and duck were our favourites) and faultless service meant it was one the best meals we have ever had. I can’t wait to return. A slightly cheaper fine dining experience that ticks all the boxes. 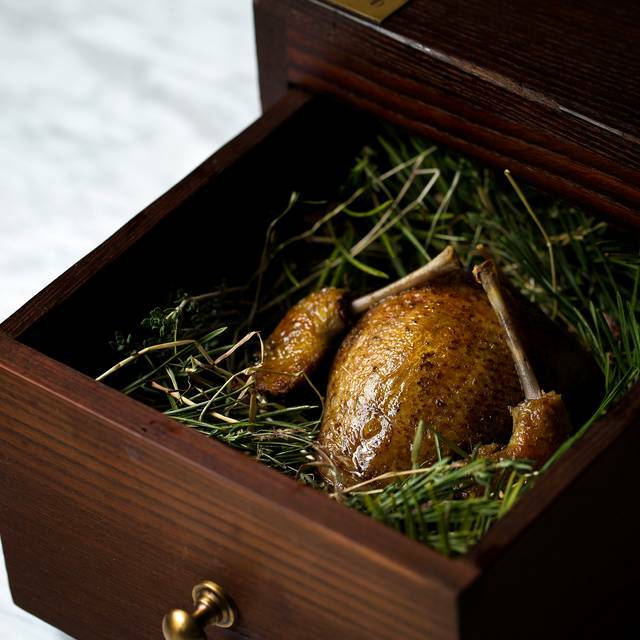 Great degustation menu that didn't leave you hungry. Highly recommended. I just wanted to say quite simply..... Super Duper! 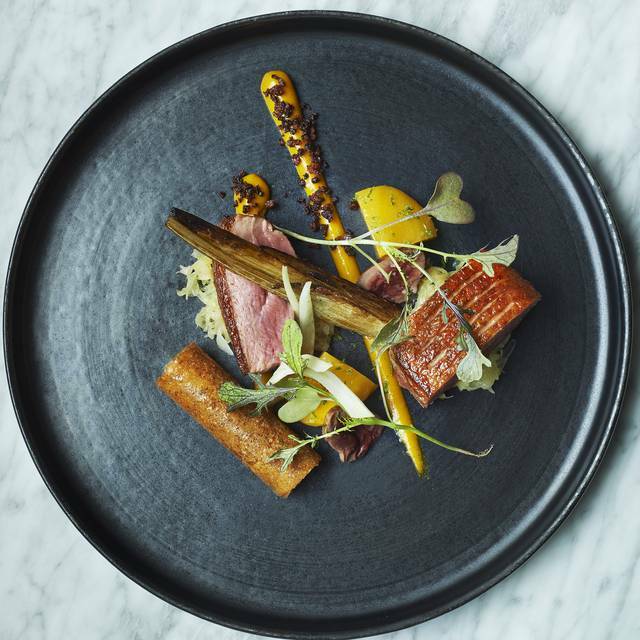 Lee Westcott's Typing Room is a high end dining experience aimed at the adventuresome foodie who is willing to try something new. The ingredients and dishes are very fresh and often very unique and imaginative. No burgers here! They offer a 3 and 5 course tasting menu which rotates every week or so. The service is top notch. or was just a bit overpowering. The Aylesbury duck was served with rhubarb, beet root and juniper and was fantastic. The final course, blood orange , pumpkin brulee and ginger cake was delicious, especially the ginger cake. I really enjoyed the R&B music from the 60's that was played tastefully and unobtrusively on the sound system. The service by Alex and Florent was superb. Both were well informed and very attentive without being interruptive. In short, this was an excellent dining experience. I recommend it if you want to try something different! Hall staff & kitchen staff is very nice! Fantastic! We were so happy when We been wedding anniversary . My husband say, you choose restaurant is so nice! Food is amazing! We want to go again! Absolutely delightful tasting menu and perfect wine pairings. 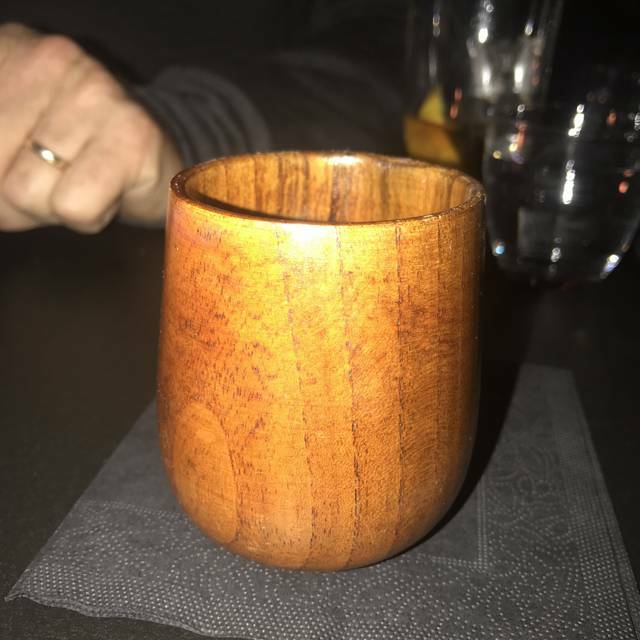 My husband is gluten-intolerant and they adjusted the menu for him with no fuss, and it was just as tasty and good quality. Top notch fine dining. I have been fortunate enough to eat some very nice meals in my life, but Typing Room has immediately vaulted into the top 3 of all time. 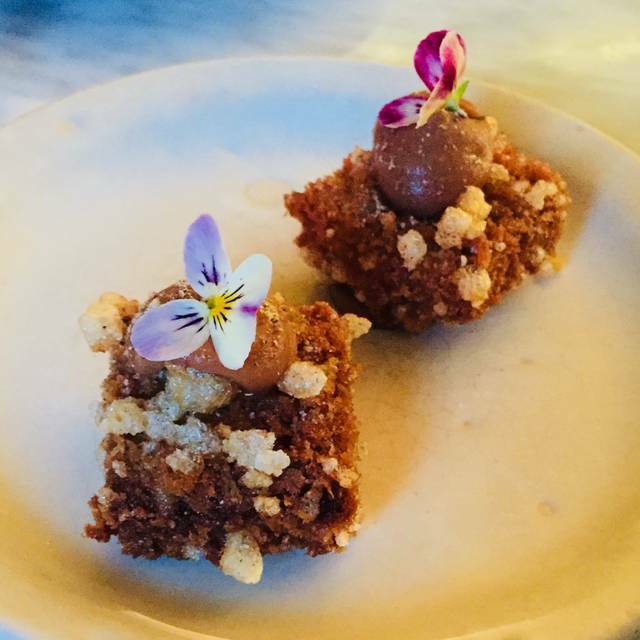 All the staff showed great care and attention while superb, quality ingredients were combined in dishes bursting with flavour and incredible balance - from the melt-in-your-mouth pigs head amuse bouche; to the bold and tangy pumpkin and mandarin creme brulee, we were very, very impressed. It was really an experience! GREAT food & Service! Fabulous, perfectly executed, imaginative tasting menu and wine pairing. Service was exceptional. Surely a Michelin star is on its way. Splendid experience. The food was amazing. Very enjoyable and honest service. I did not like the wine that much and they promptly gave me another one. Great food & service. Tasting menu gives the opportunity to taste lots of unusual dishes with recommended wines. The wine waiter was very informative. It was a lovely experience, we enjoyed every single dish. Great food. No soft drinks, a choice between soda and tonic.